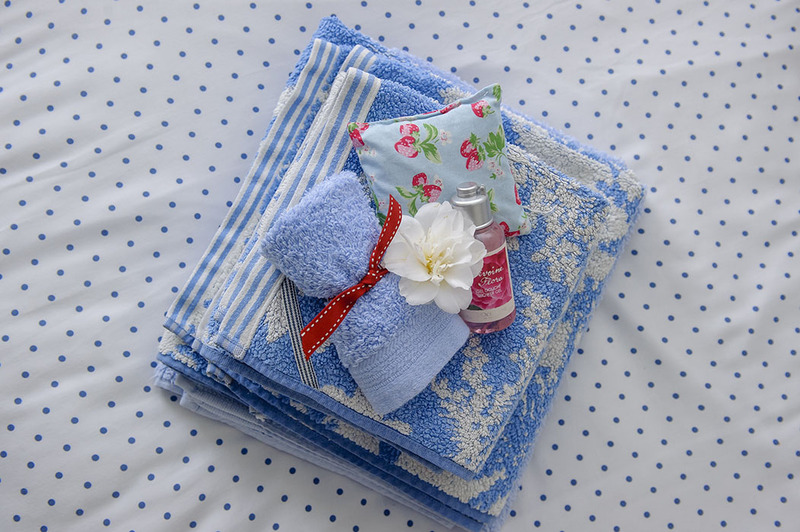 I believe a truly memorable stay somewhere comes from the little things; it can be the smallest of touches that really make a difference and help to create lasting memories. Whether it’s a thoughtful welcome package; wonderful quirky decors; a surprise cake or chocolates; offering to make great meal reservations or providing extras like children’s equipment at no additional charge – as a guest you immediately know that you are valued and that you’re staying somewhere special. 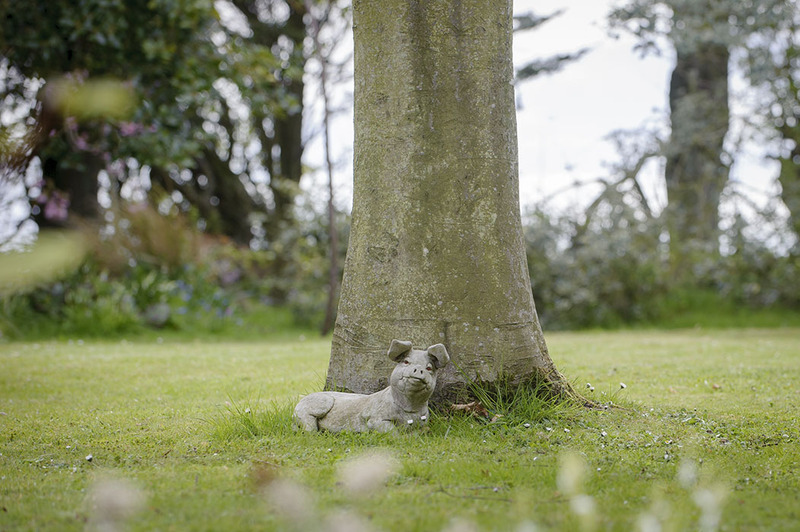 A perfect example of somewhere that goes that extra mile and is packed full of wonderful little extras and fabulous décor is Rose Cottage in East Neuk, near St. Andrews in Scotland. 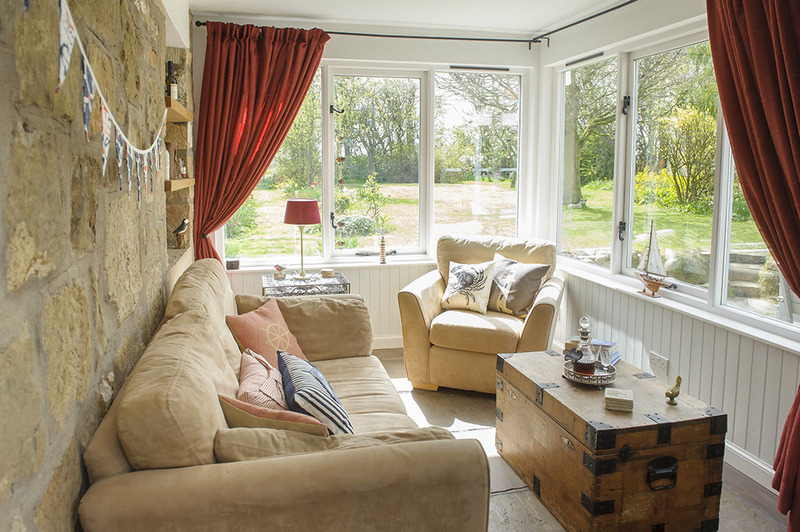 This modern yet rustic coastal cottage offers you great rooms, stunning views, real log fires, a beautiful sprawling garden (with alfresco dining) and a welcoming charm that creates an experience you won’t forget in a hurry. 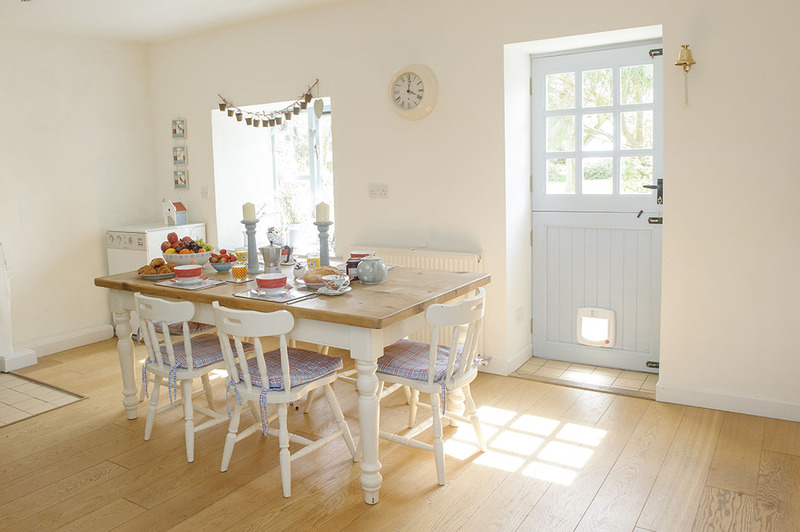 Rose Cottage is a beautifully unique 2-bedroom self-catering cottage with a mixture of nautical, coastal and rustic country décor along with stunning sea views and an enchanting country garden. 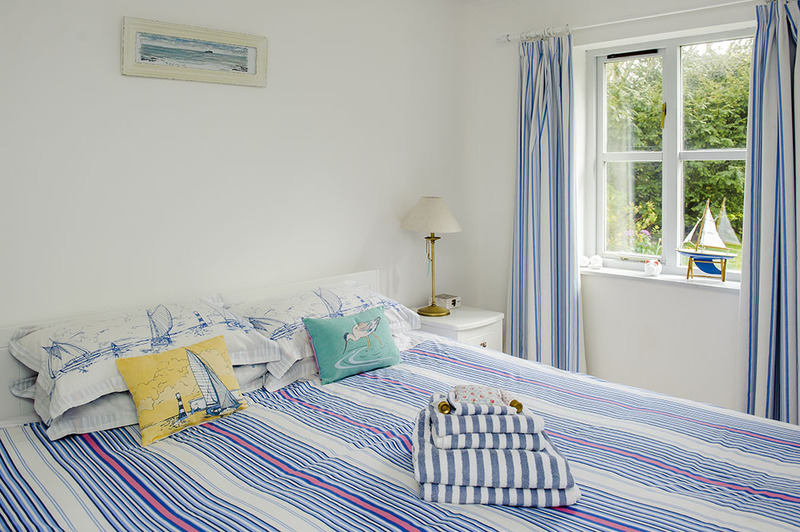 The rooms comprise of a double front bedroom with sea views and a rear bedroom that can be made up as a super king-size or two single beds with a beautiful view of the gardens (in addition there is room for a further 2 guests to sleep on the fold-down sofa bed in the garden room, should you require). 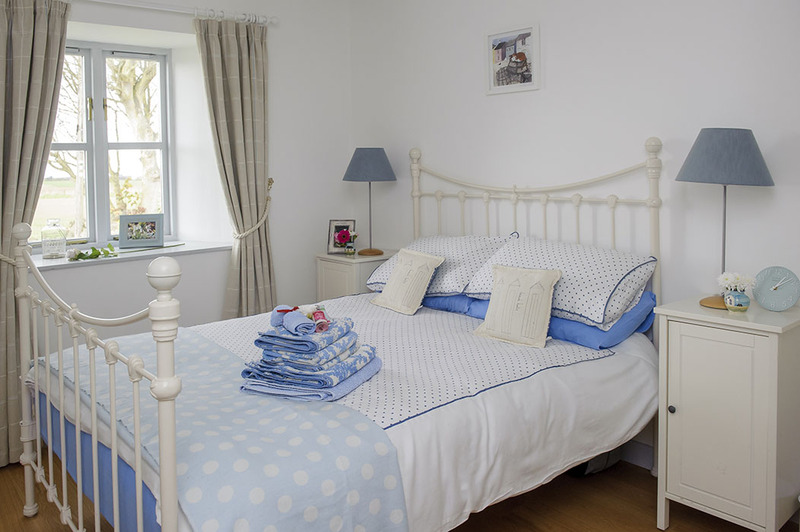 Both coastal themed bedrooms benefit from under floor heating, black-out curtains, fresh fluffy towels, and high quality bedding as well a gorgeous little touches like paintings from local artists, fresh flowers and decorative throw cushions (babies and toddlers are thoughtfully catered for too with a travel cot, cute bedding and nightlight available at no extra charge). 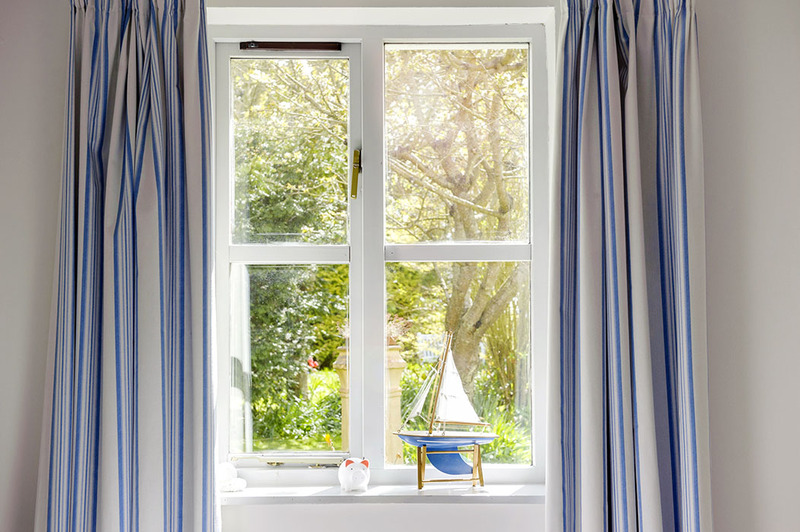 The cottage has a cloakroom as well as a bathroom which features a bath, over-bath shower, toilet and sink and comes with complimentary luxury toiletries. 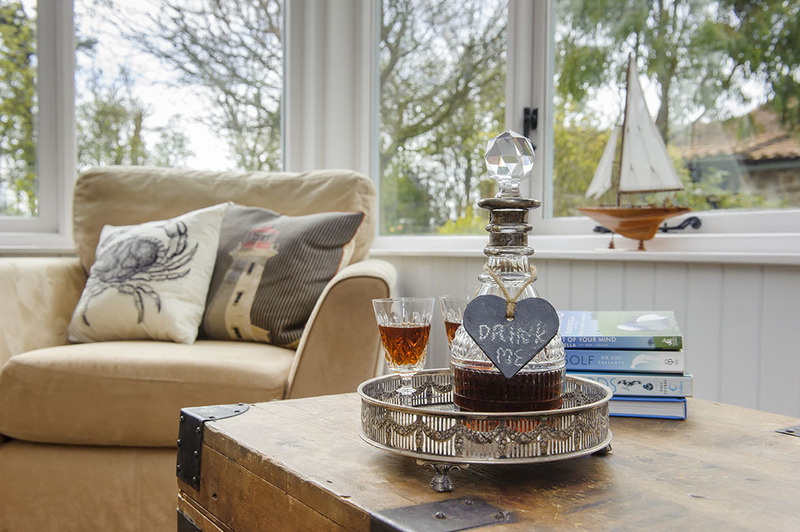 At the heart of the cottage you find the welcoming and cosy living room, with a real log fire and dual aspect windows with views over the gardens right out to the coast and sea beyond. If the incredible views aren’t enough to keep you entertained then you can also enjoy the Sky TV, DVD player, PlayStation, games, books, films, local information and even a telescope to take in the wonderful starry skies this area benefits from. 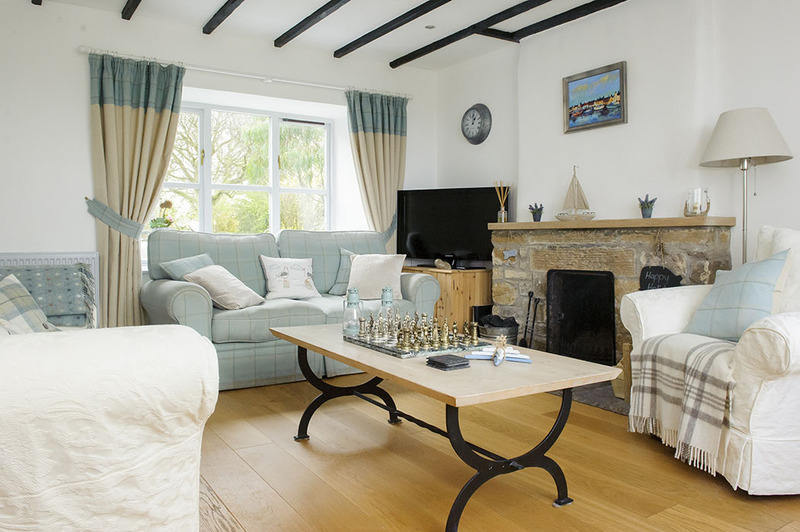 The cottage also has a ‘Garden Room’ with a wonderful large sofa to sink into whilst enjoying a complimentary evening tipple (yet another nice touch! ), the room has also been beautifully decorated with more artsy throw cushions and object d’art all surrounded by beautiful large windows looking out into the gardens. Finally, you can’t fail to mention the gardens themselves which really set the cottage apart from the rest – large, sunny, private and very beautiful with mesmerising views, the gardens offer something for all seasons including: outdoor dining, barbeques, sun-bathing, treasure hunts and bird-spotting amongst the flowers, fruit trees and woodland area – a real little haven of calm. You are of course self-catering at Rose Cottage, which means you can cook up something wonderful using lovely local farm produce or the local catch of the day mixed with herbs from the cottage’s very own garden. All your culinary exploits will be whipped up in the gorgeous country kitchen which has a wood-burning stove, cooker, SMEG fridge, microwave, washing machine, dishwasher and complimentary tea, coffee and spices as well as a range of local cookery books (again another thoughtful touch making this feel more like a home-from-home rather than just a place to lay your head). 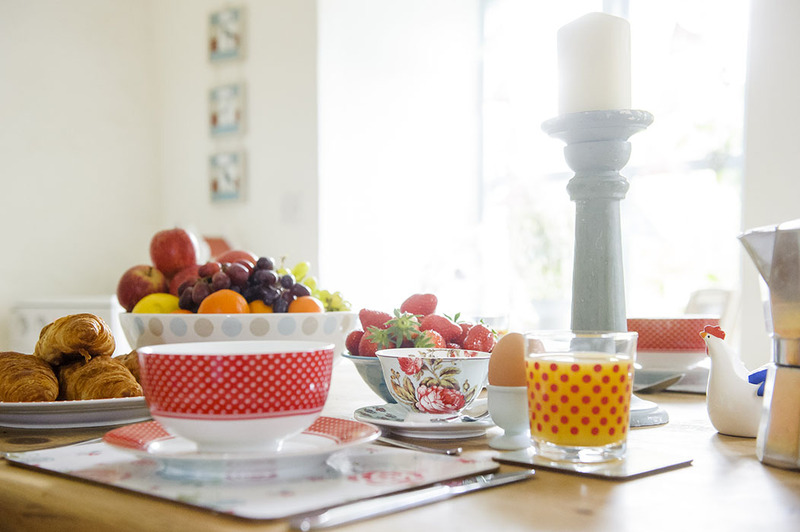 Right in the middle of the kitchen is a large family farmhouse-style dining table that comfortably seats 6 (a high chair is available for little ones), but if you fancy something really special you can dine alfresco at the table on the patio in the sunshine or under the stars at night. If you fancy a night off cooking you can always venture into the quaint historic coastal villages of Crail and Kingsbarns (walkable on foot) or hop in the car an you’re in the beautiful seaside, University town of St. Andrews in 15 minutes, all of which are known for their great food. If you want to do more than just kick-back and relax at the cottage (and no one could blame you if that’s all you wanted to do) then Scotland’s East Neuk of Fife coast has plenty to offer. Renowned for sunshine, gorgeous beaches, coastal walks, quaint fishing villages, world-class golf, art, boutique shops, delicious local food and great events, you’re also just a stone’s throw from St. Andrews (where Prince William and Kate met!). Throughout the year there are also numerous events going on in the area and two popular tourist attractions are just a short walk away: the new Kingsbarns Distillery and the gardens at the Cambo Estate. 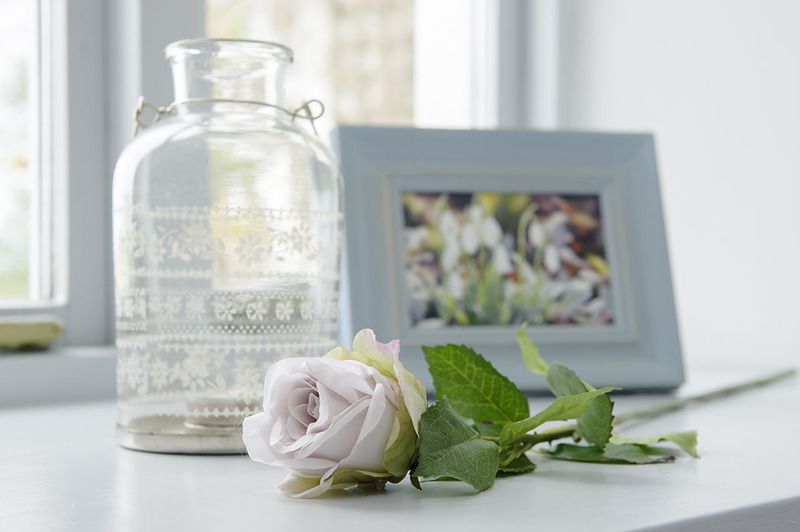 Whether you’re a couple, family or a group of close friends, Rose Cottage is the perfect holiday-home-from-home with some really lovely little touches that help to create a really special getaway.